Status: Contest finished on 13-12-2009. 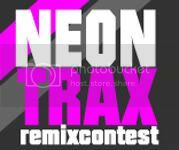 New remix contest by Neon Trax. You have the chance to release you track on the label, remixing the track “Nothing is for free” by Franklin & Navaro. Good luck! Franklin&Navarro just finished their first single called “I need love”. You’re a producer?! Now it’s your turn to make the single complete! Interested? Send us an e-mail to contest@neon-trax.com and you’ll get the remixpack shortly! Thanks to Marcel Schmidt for the info! Thanks and good luck friend! hi, where we can upload our remixes?